Sharon Long recently had an opportunity to interview Lisa Turner, author of the Billy Able series, published by William Morrow. 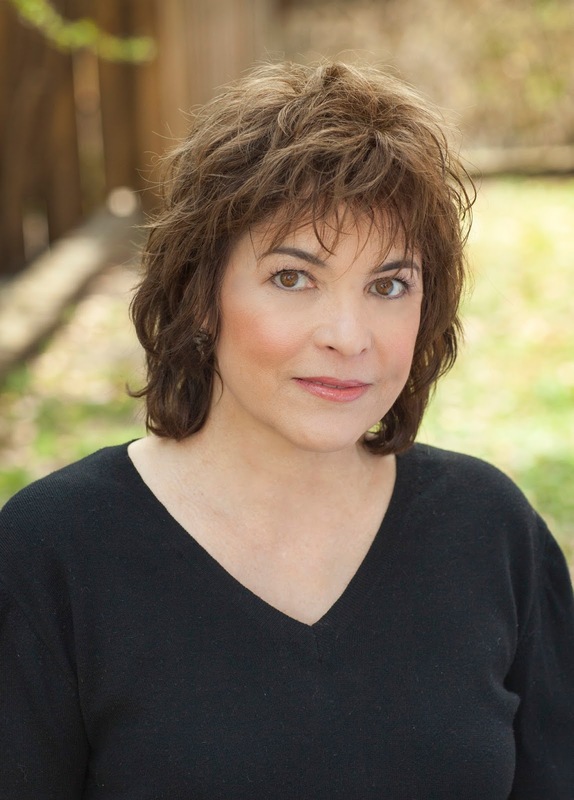 Lisa graciously answered questions about her writing and her third novel, Devil Sent the Rain. I read where you managed your family’s interior design firm, which gave you a “PhD in the peculiarities in human nature”. What did you mean? After twenty years in the business, I learned that—like therapists and doctors—designers sometimes have to wade through a client’s family dynamics to get the job done. A lot of unhappy people want to change their homes because they can’t change their lives. One sweet lady told us that her husband had hit her with a towel bar. His apology included redecorating the master bedroom. We were horrified, but she was okay with it so we did a beautiful job for her. We’ve worked with newly divorced clients who wanted a fresh self-image. We were happy to help; however, that sometimes leads to dependency. One client called her designer on a Friday night and asked if she would come fix the refrigerator. Another client called his designer at 2 am. He was drunk. He knew she didn’t like the stuffed marlin he insisted she hang over his fireplace, so he wanted her to hear him shoot it. Bang. The characters in my mysteries are like my clients. I care about their needs, goals, and the desires that drive them. I listen to what they tell me. Even more important I listen for what is left unsaid. A character’s subtext gives them life on the page. The setting of your series is Memphis, also your birthplace, how important is this city to your stories? Memphis is as much a character in my novels as my two homicide detectives. It’s a city of textures, conflict, atmosphere, and extremes—a perfect setting for murder mysteries. We have Beale Street blues, the Mississippi River, civil rights struggles, and the remnants of the Old South infused in the New South. And of course, if you’re going to write about Memphis you have to include “Southern crazy” and the complex family dramas that go hand-in-hand with the culture. In Devil Sent the Rain, third book in the series, Caroline is driving a red Camaro, wearing her wedding dress and thinking about her unborn baby. This paints such a vivid picture for the reader, what compelled you to start the book this way? I have no idea where the image of the Camaro and the wedding dress came from, but once I had that picture, the story of Devil Sent the Rain came together. That’s my unconscious mind at work. Sometimes a plot problem will back me in a corner. When that happens, I forget about the problem and let my unconscious take over. The solution is always far cleverer than anything I could think up. By the way, the answer usually shows up while I’m in the shower. The characters in Devil Sent the Rain are well developed with extremely different personalities. Are any of them based on real people? The characters are a combination of people with specific attitudes and behaviors of Southern culture. The best compliment I’ve received about this book was from an astute gentleman who spent many years involved in the Old South society. I asked if he thought the characters in my book rang true. He laughed, rolled his eyes, and said I’d nailed it. What is the best thing that’s happened to you since writing Devil Sent the Rain? Travel! This year I had a great time hanging out with mystery writers, readers, and librarians. First I attended the American Library Association conference in Orlando. Next was the Bouchercon Mystery Writer’s Conference in New Orleans. And then the Mecklenburg Library Fundraiser Verse and Vino in Charlotte, North Carolina. At all three events, I had the opportunity to speak about my favorite subject. Writing. In an interview at Bouchercon, Harlan Coben said that no matter what he’s doing—grocery shopping, dinner out, or going to the dentist—no matter how important it is, he feels guilty if he’s not at home writing. I feel the same so it was gratifying to hear an author who’s been so successful admit to being a little bit obsessive. In truth, that’s what it takes to write a book. I know you are working on the 4th book in this series. When will that come out and can you tell me more about it? Thanks for asking, Sharon. Writing this manuscript has been an intriguing experience. It literally chased me down, and it won’t let go. This story is more of a psychological suspense than the other three with the spotlight on my female detective, Frankie Malone. There are plenty of twists and turns with an ending that surprised even me. The complexity of these characters is challenging and requires a new level of writing, which is exciting. We’re looking at a publication date of spring 2018. Wish me luck. 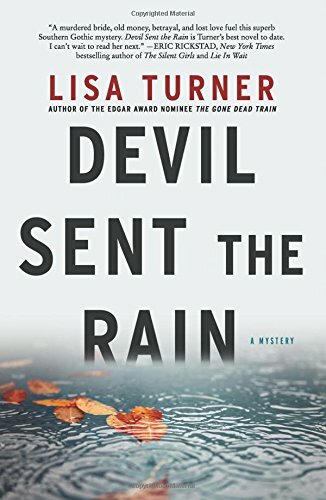 I'm looking forward to reading Lisa Turner's books and am especially interested in Devil Sent the Rain--the photo is great! Great Q&A - Big thank yous to both Sharon & Lisa! Not a problem, Lisa is great to work with. Sounds like an interesting series. Adding it to my list! I'm very intrigued by the red Camero. Sounds great! Wow, this book sounds really interesting! Can't wait to read it!